It's time for your monthly dose of Kalo Mina; October has officially arrived! Cooler temps are on their way, along with rain, clouds, and of course, the wintry sunny skies. Let's enjoy this month and explore our fine city of Athens. Here are our picks for the best events this month! The first ever Curry Food festival is taking place at the majestic coastal suburb of Alimos on October 6th and 7th. This festival aims to awaken visitors' taste buds, with exotic flavors from Asia and Africa, giving guests the chance to enjoy different dishes with spices and herbs from around the world. Held at Zappeion Megaron, the Athens Craft Beer Expo will take place on October 13th and 14th for a beer-filled weekend. Visitors can taste more than 100 craft beers from all over Greece and abroad, including beer from this year's guest star brewery, the Bronckhorster Brewing Company from Holland. Also in attendance will be the Po'Boys Food Truck and a few other vendors to shop while sipping your drink. On October 8th, the Athens School of Fine Arts will be hosting Dissolving Loyalties, an artistic platform that aims to connect cities and art. As their presentation, they will use artistic expression of the daily life of different cities and its inhabitants. Other cities Dissolving Localities has performed include Madrid, Paris, Krakow, and Los Angeles. The first social entrepreneurship, Kypseli Municipal Market, is coming to Athens on October 4th through the 6th. This 3-day festival will have events for both kids and adults, which will be organized by the vendors of the market. The opening will be held on October 4th, of which the Mayor of Athens will be attend. Currently at the Benaki Museum are the photographs of Joan Leigh Fermor, a woman who documented her time in Greece. Joan, with her lover and friend Paddy, visited Athens and then traveled all around Greece before finally settling in the Peloponnese. There, they built a home in Kardamyli and between the 1940's and 1960's, Joan took thousands of photographs of people and places in Greece. On October 7th, the Vegan Life Festival returns to Technopolis City of Athens, following last year's success of more than 12,500 visitors! This is the biggest vegan event in Greece, where there will be talks, workshops, a kids zone, and one of the largest exhibitions of cruelty free and vegan products. The Vegan Life Festival is for anyone who wants to learn more about the vegan lifestyle, animal rights, benefits of a vegan diet, and environmental impacts. 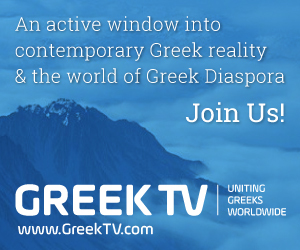 For more events in Athens, check out What's On!